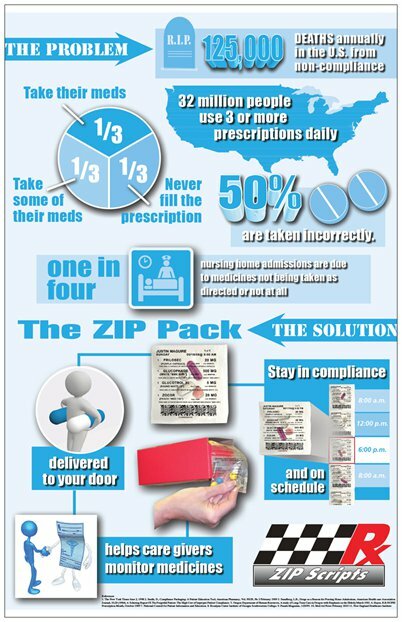 The revolutionary ZIP Pack, packages medications the way you take them: by date and time of day. 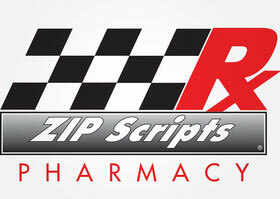 It eliminates pesky pillboxes and plastic baggies full of medications. It’s the smarter and safer option. 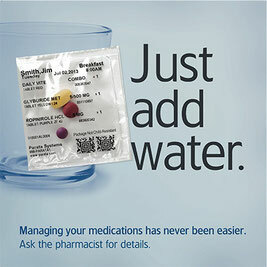 Prescriptions, over-the-counter medications and vitamins can all be packaged together, and organized by day and time of dose, in the easy to tear, clear plastic ZIP packs.